We offer a secure furniture storage facility and it’s available for short and long-term needs. Our storage warehouse is a high security modern building based in the Eastern Suburbs of Sydney and is not open to self-storers, so every item is brought into our storage facility by our experienced staff. There is no minimum storage charge period. You pay only for the time you need, even if it’s just one day. One point of contact for both removals and storage. If you need to sort through your items, we have the skilled staff on site to assist in moving things around. We provide the furniture felt and pads you’ll need so that your furniture can be safely stacked to maximise space and keep storage fees down. When time comes to have everything returned, you won’t need to meet us at the storage facility to let us in. 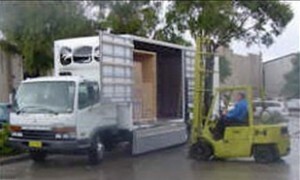 We can easily load the truck and meet you at your new place. We take full responsibility of your stored items. You should expect to receive everything back in the same condition as it was when we collected it. Bow Tie Removals uses the Safe & CleverTM furniture storage system. 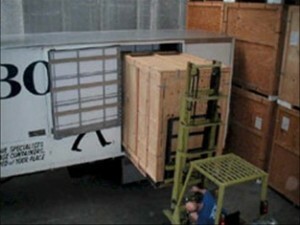 We can load all of your goods to be stored directly into one of our storage modules housed inside our removal trucks. The storage module is taken directly to our warehouse facility and never opened until you receive your goods at your new location. This concept is subject to availability and suitability. It is important to know that our modules hold the equivalent of 60 of the large removal cartons. When furniture is stored in the modules, the items are fully wrapped in furniture wrapping felt.